D3-G3-5 Solaris Dutamas 1 Jalan Dutamas 1, 50480 Kuala Lumpur. Enter Publika from the west entrance. Walk into the mall, turn left and go up to floor G3. Kohinoor is near Pharmacy2u and ELR. 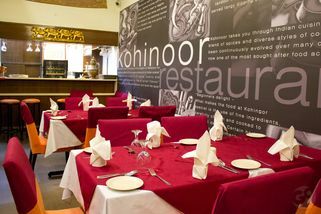 Kohinoor is a good example of why one should never judge a restaurant by its size and décor alone. This cozy restaurant in Publika, Solaris Dutamas with its simple décor boasts a very extensive menu of fine North Indian cuisine. 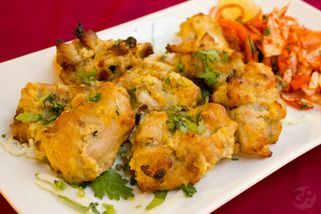 Food is always made-to-order, with ingredients imported from India, and since the master chef also hails from India, you know that you’re getting authentic North Indian cuisine when you dine here. 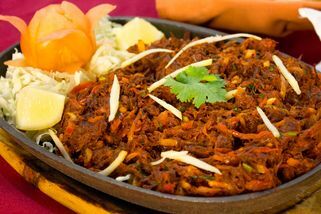 One of the signature dishes they take pride in is the Raan-E-Mastan; leg of lamb gently massaged with spices, pot roasted, smoked over charcoal, finished on a skillet and served on a sizzler. 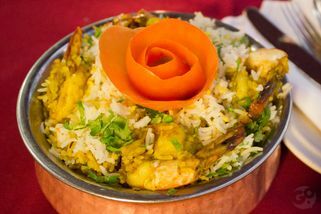 Another recommendation by the chef is Samundari Biryani; Basmati rice cooked with prawns or boneless fish with a variety of Indian spices and served with raita. 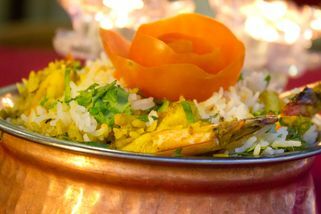 With so much for customers to discover on their menu, Kohinoor really is "A Diamond of Indian Cuisine". The service was good but much is to be desired from the food and environment; we chose to sit outside and the restaurant next to it is Taipei Restaurant blasting old chinese operas which gave somewhat awkward cultural atmosphere. The appetizer was papad with mint chutney; the chutney was mostly yogurt with very slight tinge of mint. 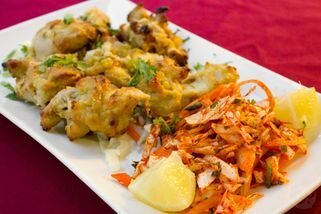 We also ordered Paneer Pakora; a disappointment because the cut was not bite size making the batter borderlining to soggy and the taste was really bland. Then came the entree, palak aloo and rogan josh with plain paratha. We had trouble ordering plain paratha because apparently all of their parathas are stuffed. The aloo in palak were cut in chunky sizes making some cuts undercooked while some were over cooked, but the palak itself was nice. Rogan josh was nicely prepared but the lamb was not entirely fresh. Masala chai we ordered could use a little be more masala but was not entirely terrible. The salted lassi however was just terrible; they oversalted it, it could have passed as a gravy. For dessert, we ordered pista kulfi and although it was nice, it wasnt exactly what we had hoped for. It was green and could use more milk or cream in it. For the price they are charging, it was not satisfactory. "good deal for my lunch set"
im not a big fans of india foods. just following my friends to eat at kohinoor publika. and i think kohinoor is quite nice. they have a good deal for lunch set and tastes good. my set comes with ice lemon tea. and before the foods come, they gv each of us 1 glass of mineral water. the service is not bad at all. i ordered biryani kambing that comes with a tasty dal. and every thursday, they also hv all u can eat during lunch time. Came to Kohinoor with my co-workers for lunch and was pleasantly surprised with their lunch set menu. The prices were very reasonable for the location and the meals on offer were actually quite good. I went for their mutton curry set for RM12.90++ and an iced lemon tea (RM6). It was a good sized portion and quite satisfying; the curry was great with good helping of meat, the sides did nicely to round off the meal but omg the dalh (spelling?) was amazing. It is by far, the most delicious dalh I've had so far in Malaysia. Seriously recommend you come here to try it out, my co-worker (who had lived and worked in India for a time) also gave the dalh a thumbs up! 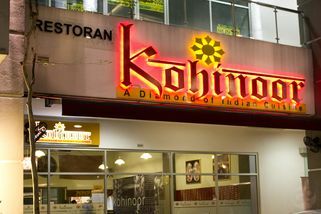 I was told Kohinoor's location within the mall was not really ideal and quite hard to find (indeed it did take us a while to get to it!) but if you are wanting something different, exciting and tasty for lunch, definitely take Kohinoor up on their promo offers for some good food at good prices.